According to a report from Finance UK, a trade association for the finance industry, banking customers lost half a billion pounds to frauds and scams during the first half of 2018. Money was predominantly stolen by exploiting flaws in online banking services, as well as the anonymity of phone calls and email exchanges. Scammers were able to get away with £358m from over a million cases – an average of £345 per victim – through unauthorised fraud. This is when the owner of a bank card or account doesn’t authorise the transaction, as their details are typically stolen and used by a third party. Despite the fact that the total amount stolen through unauthorised fraud is down 2 per cent year-on-year, the number of victims has gone up by 10 per cent. Authorised Push Payments (APPs) are also a popular tactic among fraudsters. This covers a wide range of scams but will usually convince the actual account holder to authorise payment to illegitimate sources. In the first half of 2018, APPs generated £145m from 34,000 cases of stolen money. Malicious payee payments – The victim thinks they are paying for or sending money to a legitimate service. This scam is commonplace on social media networks and auction websites. Malicious redirection payments – The victim tries to pay for or send money to a legitimate service but scammers, often impersonating the police or a bank official, direct them to a fraudulent third party. Even though the aforementioned figures are worrying for both consumers and businesses, Finance UK says that for every £2 stolen by fraudsters, the finance industry prevented another £3 from being taken through unauthorised means. In just six months, the finance industry has managed to save victims a total of £705.7m. 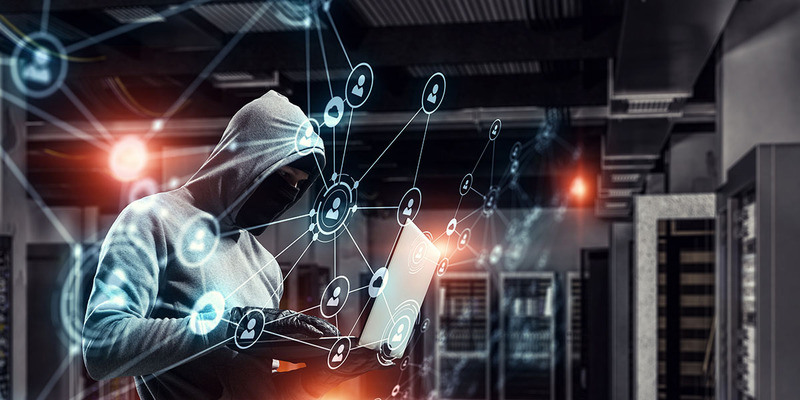 “The finance industry is committed to fighting back, investing millions in security systems and cyber defences to protect customers,” said Kate Worobec, Finance UK’s managing director of economic crime. The vast majority of internet users will recognise fraudulent emails or scam attempts immediately. But due to the sheer size, scale, and sophistication of cybercrime, the overwhelming advice is to always remain vigilant and safe online. If you need help with your IT security, call us on 01206 700850 and speak to a member of our team. For further information on our IT Security, click here.